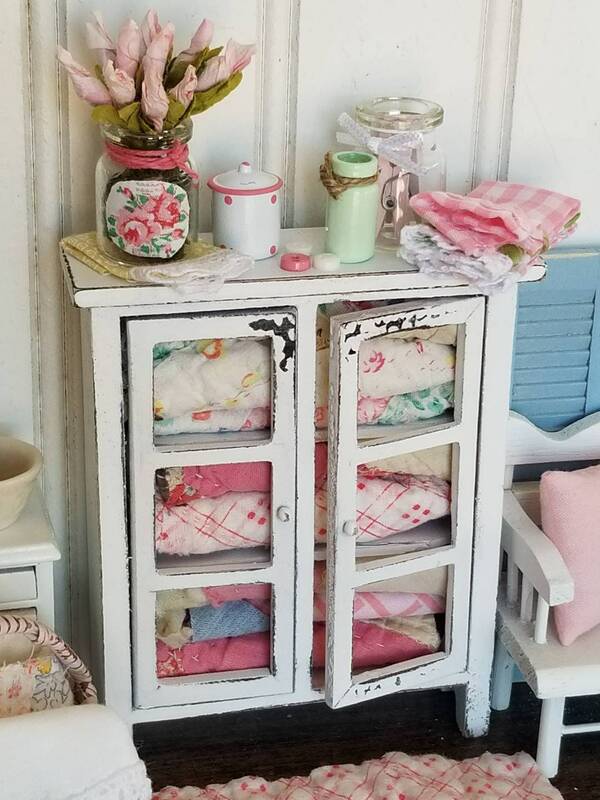 This chippy white hutch has been hand painted, sanded to give a distressed and well loved look. 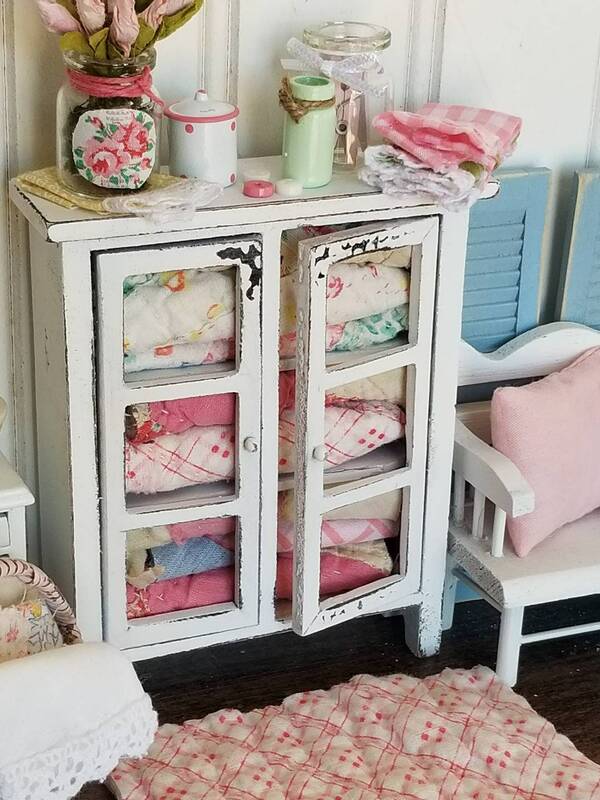 I carefully chose pastel and pinks from my vintage quilt pieces. 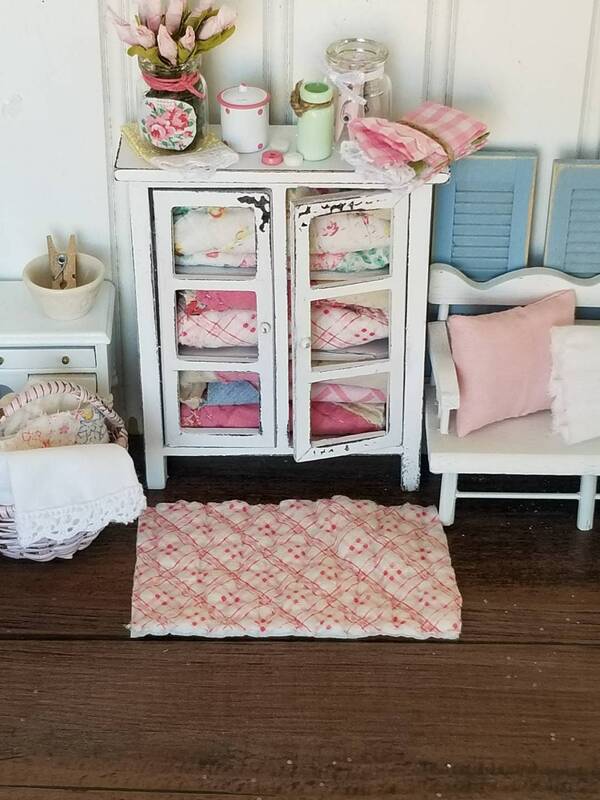 Soft and also well loved these quilt pieces are from the early 1900's. Folded to look like a farmhouse quilt cupboard. Also included us a quilted cotton rug on floor. 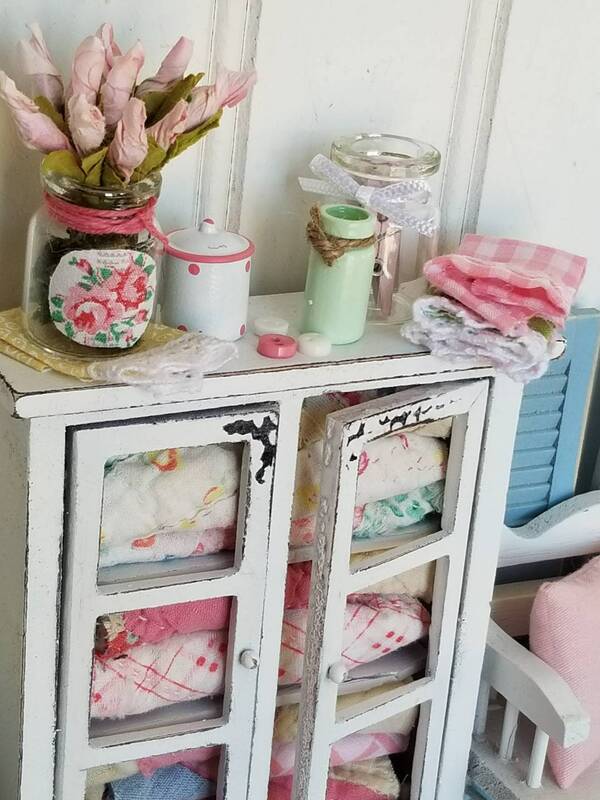 On the top beautiful pink roses fill a glass canister that has a floral design adhered to the front. 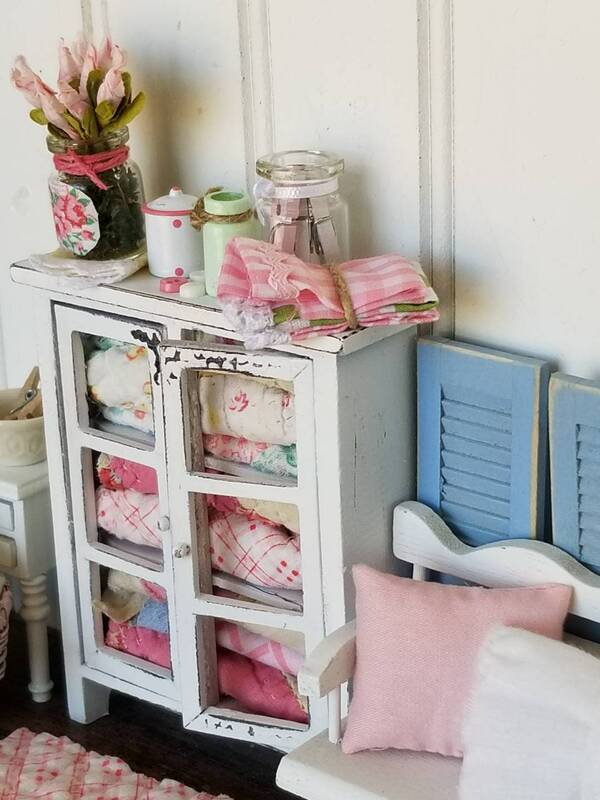 Glass jars and a stack of pink kitchen towels folded and stacked and tied with cording to hold them in place. 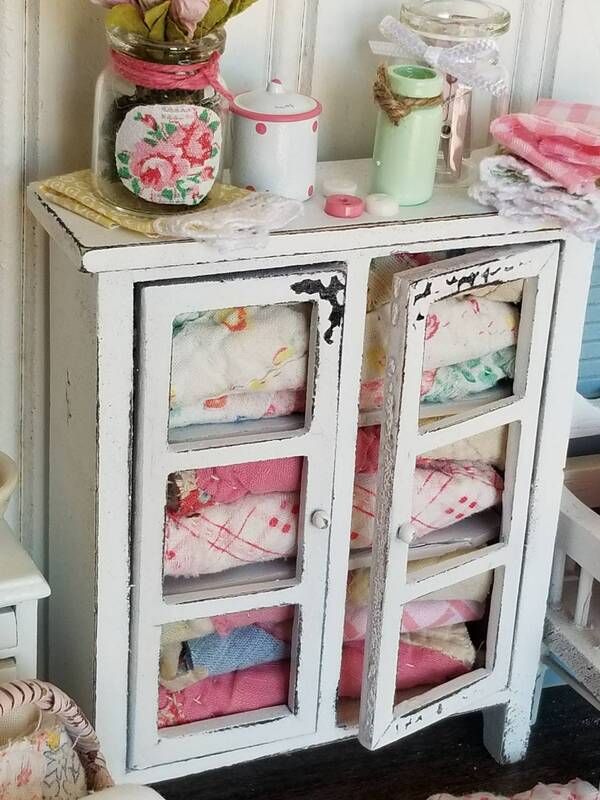 I also added a couple miniature buttons on top. 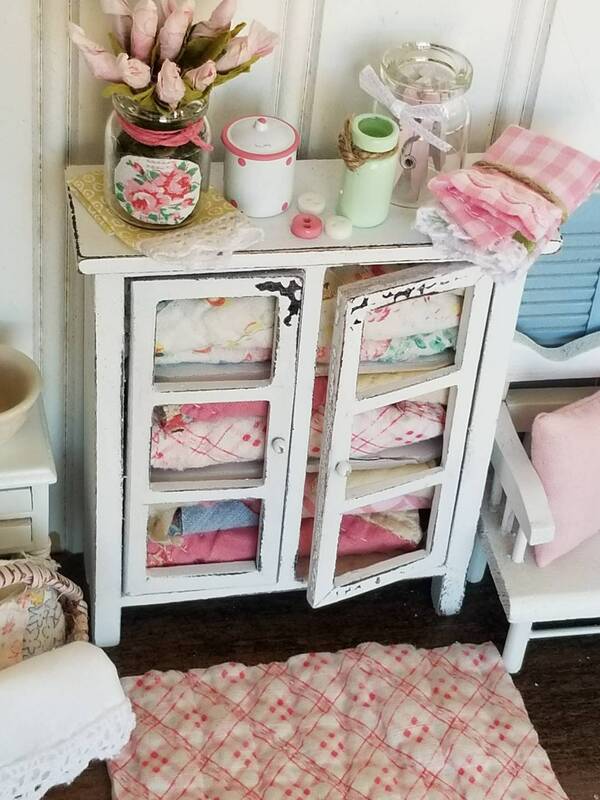 We Hve our grandbabies over all the time and when I find little buttons or money on the floor I always set them on the top of a cupboard to get them out of the way. That was my thinking here when I added the little buttons.